Nintendo have today launched their official website for forthcoming Nintendo DS release, Solatorobo: Red the Hunter. Players are invited to enjoy this latest exciting, whimsical action-RPG for Nintendo DS, in which you take control of Red Savarin – a dog man who is also a bounty hunter. You’ll soon find yourself caught in a plot that threatens the very safety of your entire world, and you will have to utilise DAHAK, your personal robot, as you complete quests, neutralise enemies in the arena, and uncover the amazing story behind the floating islands that the world is made of. 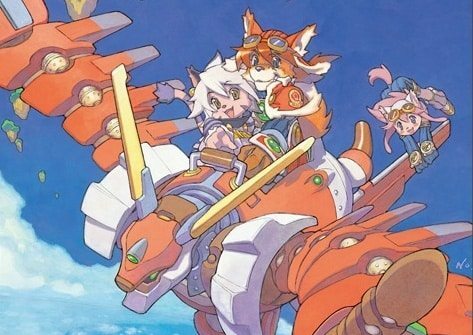 Solatorobo: Red the Hunter is due to release for Nintendo DS across Europe on July 1st.